Ready to take your body to the ultimate level of muscularity? Nothing will do it faster, easier and more efficiently than these sets of Body-Solid 80-100 hex dumbbells. Cut your workout time in half while maximizing muscle growth. 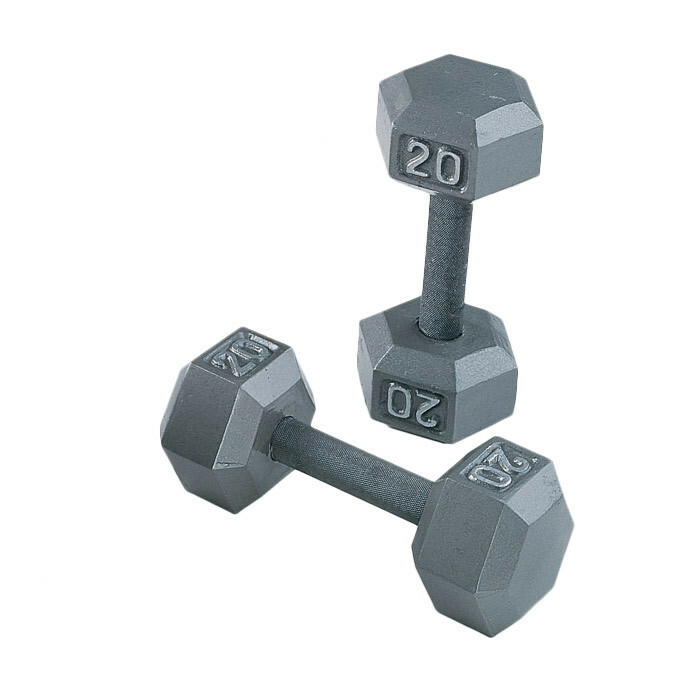 The 80-100 Grey Hex Dumbbell Heads are cast completely around and through two high carbon Roll Pins permanently embedded in the steel handles. No matter how much they're abused, they won't break. Specially designed hexagonal shape prevents rolling and assures safer workouts. Raised silver numbers for easy readability and quick selection. All edges and corners are ground smooth for safe handling. Cast from ASTM grade 20, the highest quality gray iron casting available. 15 to 100 lb. dumbbells feature extra-thick, stress proof, knurled steel alloy handles. 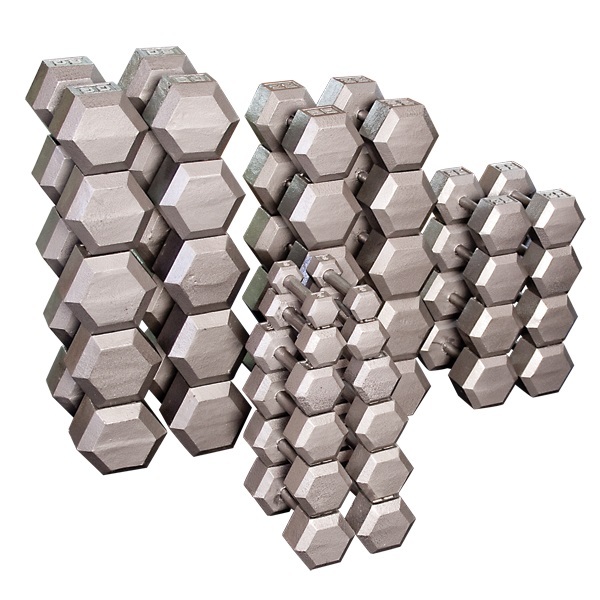 Order your Body-Solid 80-100 lb Grey Hex Dumbbell Set from FitnessZone.com today!